Hooks are like people they're all the same, but different. 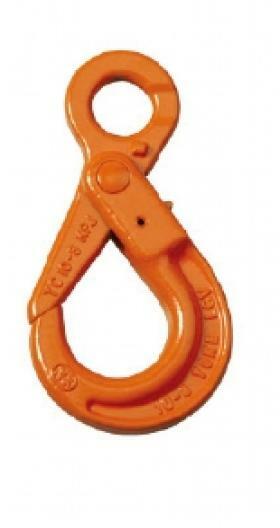 Usually, the application for a hook is to lift a load with a hoist or crane system or on the ends of wire ropes. 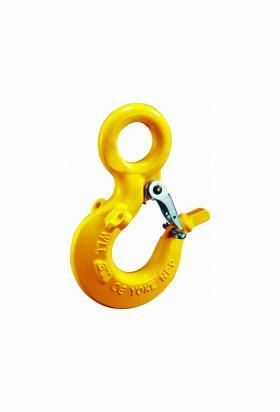 Hooks come in a range of different materials, the wide variation of materials allows it to be used in all lifting applications. We can also offer black versions to allow it to be used in theatrical performance. 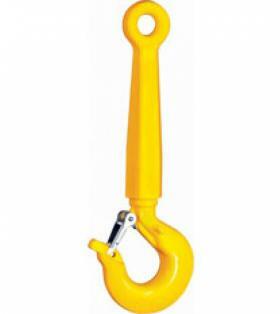 There are many types of hooks but the most common are as follows. Shank, Eye, Swivel, and Forged. Safety catches are also offered to prevent the load from disengagement. We also offer hooks that are quenched and tempered, this heat treatment method will ensure the hook will deform before complete failure. A lot of our hooks come with a coating such as a painted finish, this prolongs the life of the hook in harsh environments which could ultimately cause corrosion. We supply hooks that are attached to remotely operated underwater vehicles, the sheers depths the vehicles reach demonstrate that it can withstand even the most unforgiving environments on the planet. All of our hooks come proof tested with certificates. Crosby, George Taylor, William Hackett and Gunnebo.